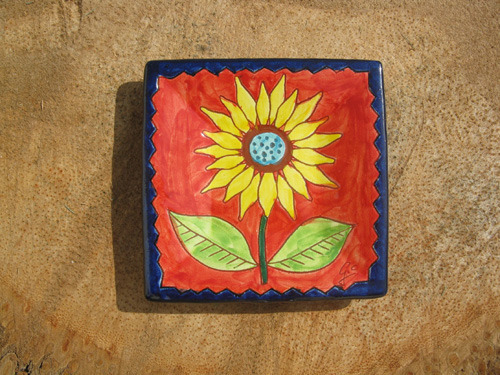 This beautiful handmade Spanish plate features a big bold colourful sunflower. The square-shaped heavy-duty plate is a blaze of rich, vibrant colours, individually handpainted in Andalucía, southern Spain. 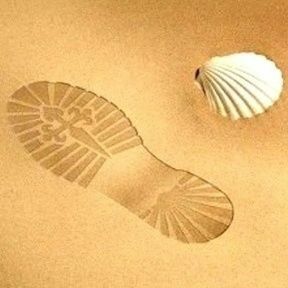 It is made from the local clay of the area and has a lovely rustic quality. What a fantastic gift to give a friend or loved-one to take pride of place on their table or wall. Detail: The plate measures 14cm square and there is a hole on the back for hanging. Our Sunflower plate would make a great present to pass on your best wishes, particularly for a house warming gift to cheer up a new home. Comes gift-wrapped, like all our presents - and we can print a personal message on your behalf.